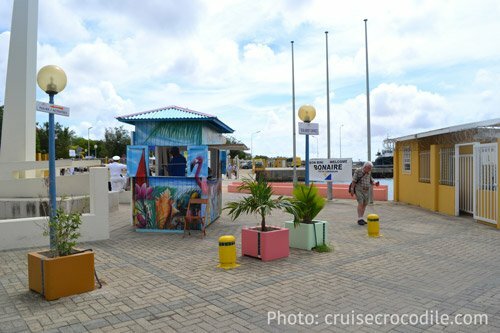 Our Bonaire cruise port guide gives you information about the docking location, cruise dock, transportation options and much more! 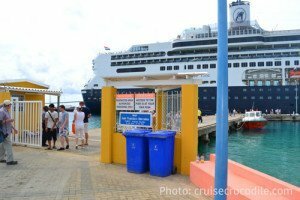 Welcome to the Bonaire Cruise Port Guide. 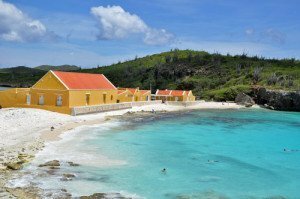 Bonaire is that small little piece of Dutch Caribbean paradise. The island is small and just over 112 square miles. There are about 17.000 people living on the island. Kralendijk is the main town on the island of Bonaire. This is also where your cruise ship will dock. The island offers white sandy beaches on the west side, salt pans in the south and a hilly national park in the north. You’ll have the opportunity to see wild iguanas, parrots, donkeys and flamingos. And let’s not forget this island is one of the top destinations in the world for snorkelling and diving. The water surrounding Bonaire form a protected marine park. This is what makes Bonaire paradise for any diver! In the town of Kralendijk you’ll find a couple of shops, but other than that there is nothing exciting going on around here. Therefore we recommend you to either go for a sunny day at the beach, go snorkeling/diving or plan a trip around the islands attractions! Find out how to get out and about on Bonaire in the cruise guide. – Bonaire offers 2 large docks for cruise ships. – Cruise ships dock in front of Kralendijk, the main town on Bonaire. – There is a souvenir market at the cruise dock. – There is a very limited amount of taxis at the cruise dock. – Beaches: The Divi Flamingo Beach Resort & Casino is about a 10 minute walk from the cruise dock. This is right outside the cruise dock in Bonaire. Cruise ships in Bonaire dock at one of the two main piers. This northern cruise dock is right in front of the centre of Kralendijk. The south pier is just a few hundred yard south of the main street. Many restaurants and shops are within walking distance of the pier. There is a limited amount of taxis available at the Bonaire cruise terminal. Taxis do not have meter, however the government established the rates. Agree on a price before you step into the taxi. A taxi should cost around 25 US dollar per person for 2 hours. It should never cost more than $25 for any one way ride to the north of south side of the island. Bonaire is not the best destination in the Caribbean for shopping. You will however find a local outdoor market in front of the cruise docks and the shops are located on Kaya Grand, the main street in Kralendijk. These locations are a few hundred yard walk from the Bonaire cruise dock. See map above. Do you want to be on your own deserted island for the day? Hop on the water taxi to Klein Bonaire, the small island in front of Kralendijk. Catch the watertaxi at “It Rains Fishes” restaurant. See map above for its exact location. The schedule is: Bonaire – Klein Bonaire: 10 am, 12 noon and 2 pm Klein Bonaire – Bonaire: 12.30 pm, 02.30 pm and 04.30 pm. It will cost you around $15 per person round trip. Remember that this is a deserted island so bring towels, drinks, sunscreen and basically anything you would need during the day. Try Rento Fun Drive on Kaya Grandi 47 (main street in Kralendijk). Pay about $10 for a bicycle, $30 for a scooter and $40 for a car. At the north part of the island we find the Washington Slagbaai National Park. This is about a 30 to 45 minute drive from the Bonaire cruise dock. The park is famous for its hiking trails and 4×4 vehicles tours. Entrance is $25,- per person. The cruise port of Bonaire holds 2 docking spots for cruise ships. Both docks are located in Kralendijk. Read the full cruise port guide on Bonaire here.